2 Bedroom Detached Bungalow For Sale in Leicester for Offers Over £210,000. 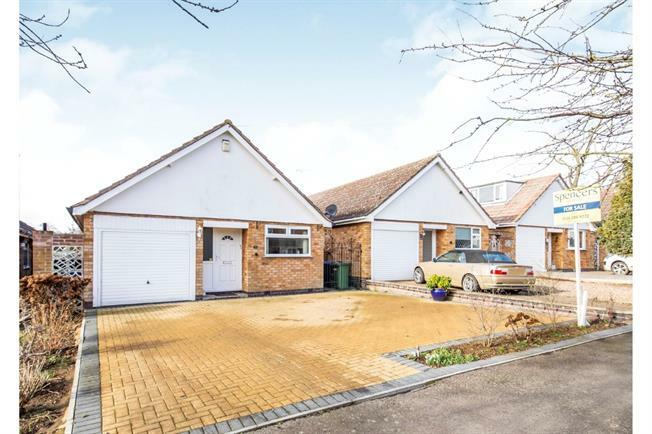 A very well presented detached bungalow in the popular village of Fleckney. The accommodation is spacious and versatile and comprises of entrance hall, living room, kitchen, two bedrooms and a family bathroom, gardens to the front and rear, driveway and garage. UPVC double glazed door, opening onto the driveway. Double glazed uPVC window facing the front. Radiator, built-in storage cupboard. UPVC double glazed door. Double glazed uPVC window facing the front. Radiator, vinyl flooring. Roll top work surface, wall and base units, stainless steel sink, integrated oven, gas hob, overhead extractor, integrated dishwasher. UPVC French double glazed door, opening onto decking. Double glazed uPVC window facing the rear overlooking the garden. Radiator. Double glazed uPVC window with obscure glass facing the side. Vinyl flooring. Low level WC, panelled bath, wash hand basin. To the front of the property is a block paved driveway with side lawn and borders. To the rear is a pleasant decked terrace, established lawn, deep borders filled with plants and shrubs enclosed by timber fencing.